Competent Appliance Repair Service for New Orleans and Metairie. 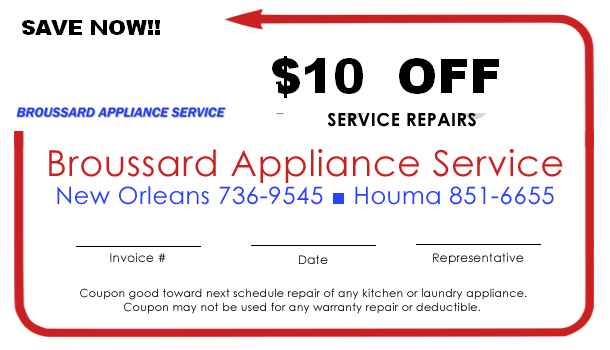 Broussard Appliance Service provides appliance repair throughout most of southern Louisiana. 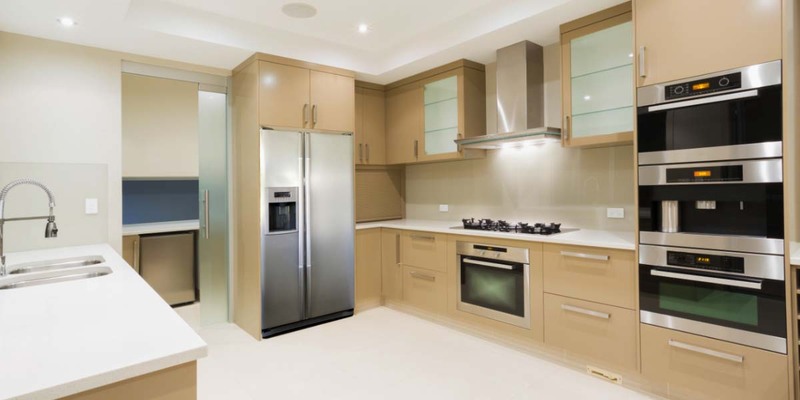 Our highly trained technicians can provide service on most major appliance brands. Broussard Appliance Service has been serving Louisiana families since 1973 and is one of Louisiana’s largest independently owned appliance service companies. Contact us today to see what a difference quality workmanship and timely service can make from a local, Louisiana company. Call us today to schedule your service on either side of Lake Pontchartrain. Our technicians are factory-trained and ready to service all your appliances with friendly small-town service–no matter where you live! Click on image to get you 10$ Off coupon on all service repairs. Particularly if they’re not well-maintained, it’s almost inevitable that domestic appliances will break down at some point. When they do, we’re here to help. We are a family-owned business that’s committed to offering our customers a full range of servicing, maintenance and appliance repair options, which are suitable for almost any appliance. 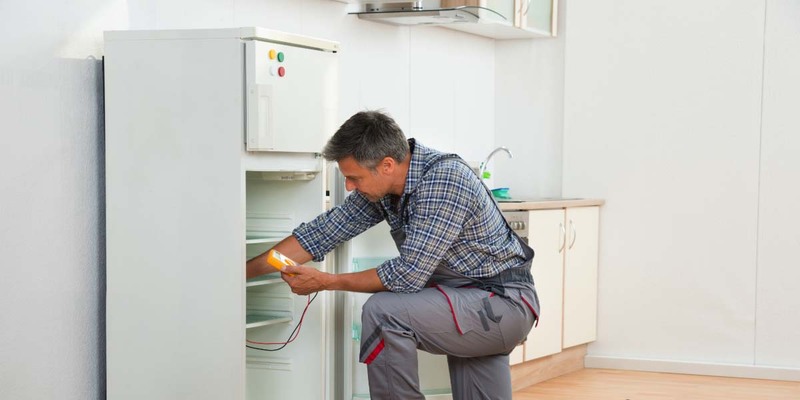 Whether you have an appliance that’s malfunctioning, has ceased working altogether or which just needs a good maintenance job to get it running again as new, our technicians are here for you. When it comes to a good-quality refrigerator repair or a high-caliber dryer repair, a factory trained technician can really add value. Our technicians receive regular training in new makes, models and innovations from the manufacturers themselves. This ensures that when they work on your appliance, they’re fully aware of the correct procedures and parts to use, as recommended by the manufacturers. We also use factory made and approved parts, ensuring your warranty isn’t compromised. 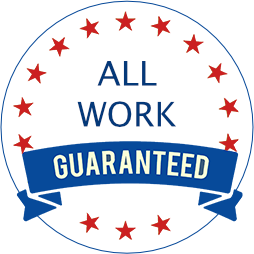 All the work we carry out is fully guaranteed, ensuring that in the unlikely event that the problem resurfaces or the repair proves ineffective, we will set the matter right for you. We are also frequently able to offer a factory authorized warranty service on appliances from many of the major brands. 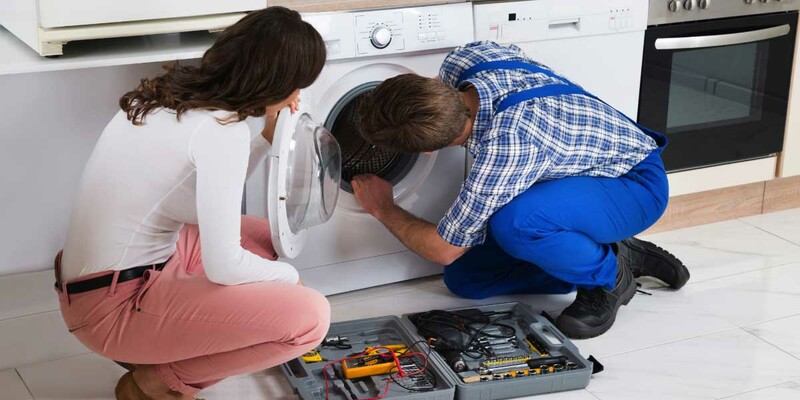 We offer an efficient, professional repair service for a wide range of household appliances. In addition, we can also service your refrigerator, washing machine or other appliance, making sure that any problems are taken care of before they become major issues. To schedule an appointment or find out more about what we can offer, call us at: New Orleans (504) 736-9545; Northshore (985) 624-4911; Houma/Thibodaux (985) 851-6655. 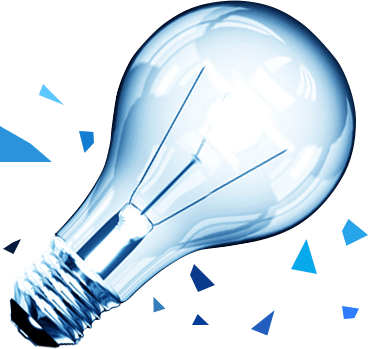 We continually make improvements to our business in order to bring our customers the best service in the area. Your feedback is incredibly important to us.